Labels or stickers indications on the edge of a page. Blank vector catalog or brochure cover mock up. White product cardboard, package box mockup. 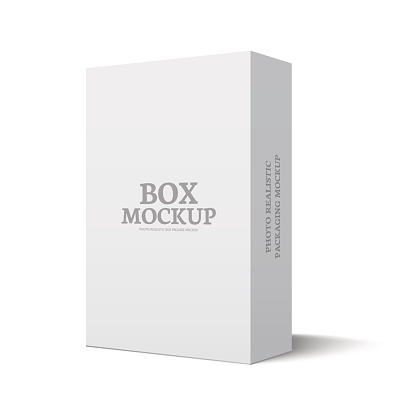 White product cardboards, package boxes mockup.